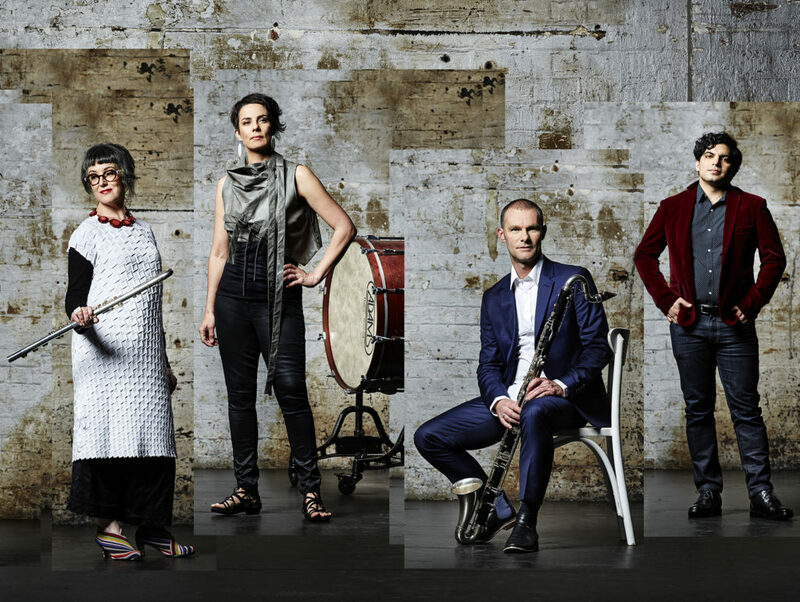 The renowned and virtuosic Ensemble Offspring, return to Western Australia for a week-long Residency with concerts in Perth and Albany. Ensemble Offspring presents a program of works exploring nostalgia and adventure, love and life. Featuring a world premiere by long-time collaborator, Netherlands-based Australian sensation Kate Moore and a first-time performance of a piano solo by Composer-in-Residence for the Chicago Symphony, Missy Mazolli. Andrea Keller’s gorgeous Love in Solitude and Moore’s flowing solo vibraphone work Spel are contrasted by Felicity Wilcox’s Composer’s Cut which will be performed to the composer’s own edit of Jean-Luc Godard’s 1962 French New Wave classic film Vivre Sa Vie. The film juxtaposes whimsy and hard-edged themes, presenting the conflicted reality of 60s France, where the new hope offered by a burgeoning feminist movement, was not always what it seemed. Ensemble Offspring are in WA for a week-long residency with Tura, which includes Young and Emerging Composer Labs in Perth and Albany.